Dr. 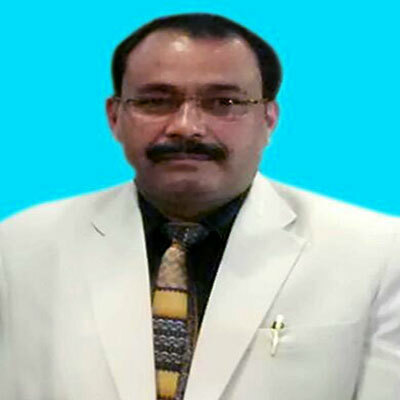 Sat Pal Singh Bisht is currently working as Professor at Department of Zoology Kumaun University, India. His prior work experience includes Professor, Head and Visiting Professor at different universities. He also play role in academic assignments in Philippines, China, Japan and Russia. He published more than 70 research papers in the Journals of National and international repute. He has 20 years of teaching and research experience. He worked as Editor and Reviewer in more than 15 National and International Journals. Singh, V.K., P.C. Joshi, S.P.S. Bisht, S. Kumar, P. Nath, S. Awasthi and D.K. Mansotra, 2016. Molecular Characterization of Butterflies and Its Significances in Taxonomy. J. Entomol. Zool. Stud., 4: 545-547. Sahu, T., S.P.S. Bisht and A.K. Panigrahi, 2016. Cynobacterial diversity of Taptapani hot spring Odisha. National J. Life Sci., 12: 101-104. Panda, A.K., S.S. Bisht, S. Mandal and N.S. Kumar, 2016. Bacterial and archeal community composition in hot springs from Indo-Burma region, North-east India. AMB Express, 6: 111-111. Panda, A.K., S.P.S. Bisht, M. Rana and B.R. Kaushal, 2016. Microbial geochemistry 0f Yumthang hot water spring, Sikkim special reference to sulfide nanoparticles. J. Chem. Eng. Chem. Res., 3: 1096-1098. Mishra, R., M. Rana and S.S. Bisht, 2016. Biochemical Analysis and Antioxidant Activity of Methanolic Leaf Extracts of Paederiafoetida and Tribulusterrestris. J. Chem. Eng. Chem., 3: 1091-1095. De Mandal, S., A.K. Panda,S.S. Bisht and N.S. Kumar, 2016. MiSeq HV4 16S rRNA gene analysis of bacterial community composition among the cave sediments of Indo-Burma biodiversity hotspot. Environ. Sci. Pollut. Res., 23: 12216-12216. Bisht, S.P.S., N.N. Das and N.K. Tripathy, 2016. Extracellular biochemical and molecular characterization of thermophillic lipase and protease of two Pseudomonas stutzeristrains isolated from atri hot-water spring of Odisha. Res. Ambition, 1: 256-280. Bisht, S.P.S., A.K. Panda, B. Praveen and A.K. Panigrahi, 2016. Isolation and molecular characterization of few bacterial strains for their antimicrobial potential from nagavali river basin Srikakulam, Andhra Pradesh, India. Bioscan, 11: 885-889. Bisht, S.P.S. and R.C. Dash, 2016. Cholera Toxin: A Paradigm for multi-functional Engagement of Cellular Mechanisms. J. Sci., . Behera, S.K., A. Panda, M. Rana and S.S. Bisht, 2016. Molecular Docking Studies and In-silico Computational Analysis of Analogs of Anti-malarial Drugs. J. Chem. Eng. Chem. Res., 3: 1085-1090. Singh, V.K., P.C. Joshi, S.P.S. Bisht and S. Kumar, 2015. Altitudinal Variation In Species Composition Of Family-Pieridae And Nymphalidae (Lepidoptera) In The State Ofuttarakhand (India). Nat. Sci., 13: 48-52. Panda, A.K., S.S. Bisht, N.S. Kumar and S. De Mandal, 2015. Investigations on microbial diversity of Jakrem hot spring, Meghalaya, India using cultivation-independent approach. Genomics Data, 4: 156-157. Panda, A.K., S.P.S. Bisht, A.K. Panigrahi, S. De Mandal and N.S. Kumar, 2015. Cloning and In Silico Analysis of a High-Temperature Inducible Lipase from Brevibacillus. Arabian J. Sci. Eng., 41: 2159-2170. De Mandal, S., A.K. Panda, S.S. Bisht and N.S. Kumar, 2015. Microbial Ecology in the Era of Next Generation Sequencing. Next Gener. Sequenc Appl., . De Mandal, S., A.K. Panda, S.S. Bisht and N.S. Kumar, 2015. First report of bacterial community from a bat guano using Illumina next-generation sequencing. Genomics Data, 4: 99-101. De Mandal, S., A.K. Panda, E. Lalnunmawii, S.S. Bisht and N.S. Kumar, 2015. Illumina-based analysis of bacterial community in Khuangcherapuk cave of Mizoram, Northeast India. Genomics Data, 5: 13-14. Bisht, S.P.S., 2015. Single-Cell WGA-Next-Generation Sequencing and its Applications in Microbial Ecology. Next Gener. Sequenc Appl., . Basak, S., V.D. Punetha, G. Bisht, S.S. Bisht, N.G. Sahoo and J.W. Cho, 2015. Recent Trends of Polymer-Protein Conjugate Application in Biocatalysis: A Review. Polym. Rev., 55: 163-198. Panda, A.K., S.S. Bisht, S. DeMondal, N.S. Kumar, G. Gurusubramanian and A.K. Panigrahi, 2014. Brevibacillus as a biological tool: A short review. Antonie Leeuwenhoek, 105: 623-639. Dash, S., R.K. Hazra and S.S. Bisht, 2014. Investigation on the mosquito fauna of shoreline habitats of Orissa coast, India. J. Mosq. Res., 4: 1-5. Bisht, S.S., A.K. Panda and A.K. Panigrahi, 2014. Production and purification of a thermostable lipase from a hyperactive bacterial isolate Brevibacillus sp. from Taptapani hot spring, Odisha. Int. J. Pharma BioSci., 5: 320-327. Bisht, S.P.S., A.K. Panda and A.K. Panigrahi, 2014. Protease characteristics of a bacteriocin producing Lysinibacilli (HM359123) isolated from Nagavali river basin India. J. Pure Appl. Microbiol., 5: 4225-4230. Bisht, S.P.S., A.K. Panda and A.K. Panigrahi, 2014. Biochemical and Molecular characterization of an extracellular lipase producing thermotolerantPseudomonas stutzeri from Tarabolo hot spring, Odisha. J. Environ. Bio Sci., 28: 283-287. Bisht, S.P.S. and A.K. Panda, 2014. DNA Sequencing: Methods and Applications. Adv. Biotechnol., 2014: 11-23. Sahu, K. and S.S. Bisht, 2013. Virtual screening approach of drug designing for Parkinson's disease. Int. J. Pharm. Bio-Sci., 4: 370-382. Panda, A.K., S.S. Bisht and A.K. Panigrahi, 2013. Bio-chemical and molecular characterization of thermophiles from hot water spring of southern Odisha. Int. Q. J. Environ. Sci., 3: 133-145. Panda, A.K. and S.S. Bisht, 2013. Six days in big sky: Thermophiles 2011. J. Pure Applied Microbiol., 7: 553-559. Dash, R.C. and S.S. Bisht, 2013. Traditional health care system of Odisha to cure cholera. Int. J. Pharm. Bio-Sci., 4: 534-539. Das, S. and S.S. Bisht, 2013. The bioactive and therapeutic potential of Hemidesmus indicus R. Br. (Indian Sarsaparilla) root. Phytother. Res., 27: 791-801. Bisht, S.S., K. Das and T. Sahu, 2013. Nanoceria: Synthesis and biomedical applications. Curr. Nanosci., 9: 588-593. Praveen, B., S.S. Bisht and A.K. Panigrahy, 2012. 16S rDNA sequencing of antibiotic producing bacterial strain Lysinibacillus sp. (BP-3) from Nagavali river basin of Srikakulam, Andhra Pradesh, India. Indian J. Pharmaceut. Edu. Res., 46: 217-221. Praveen, B. and S.S. Bisht, 2012. Molecular characterization of antibiotic producing bacteria Pseudomonas sp. BP-1 from Nagavali river basin of Srikakulam, Andhra Pradesh, India. Curr. Trends Biotechnol. Pharm., 6: 73-77. Mishra, R. and S.S. Bisht, 2012. Medicinal values of skunk vine (Paederia foetida L.): An overview. E-Planet, 9: 56-59. Mishra, R. and S.S. Bisht, 2012. Characterization of few medicinal plants from Southern Orissa for their free radical scavenging property. Int. J. Pharma Bio Sci., 3: 669-675. Bisht, S.S., R. Mishra, A.K. Panda, B. Praveen, K.K. Panda and T. Sahu, 2012. Evaluation of indicator and antioxidant activity of hybrid rose (Rosa hybrid). J. Pharm. Res., 5: 428-429. Bisht, S.S., R. Mishra and K. Kumari, 2012. Antimicrobial and free radical scavenging activity of Chamomile flower, essential oil. Asian J. Pharmaceut. Sci. Health Sci., 2: 283-285. Bisht, S.S., B. Praveen, M. Rukmini and H.P.K. Dhillon, 2012. Isolation and screening of heavy metal absorbing bacteria from the industry effluent sites of the river Nagavali. Int. J. Pharmaceut. Sci. Res., 3: 942-945. Bisht, S.S., B. Praveen, A.K. Panda, R. Mishra, K.K. Panda and M. Rukmini, 2012. Screening of paint industry effluent for heavy metal absorbing bacteria. Int. J. Pharmaceut. Res., 4: 74-76. Bisht, S.S., B. Praveen, A.K. Panda, R. Mishra and H.P.K. Dhillon, 2012. Isolation, purification and detection of antimicrobial activity of beta lactam antibiotics from few fungal strains. Int. J. Pharm. Sci. Rev. Res., 12: 126-129. Bisht, S.S. and R.C. Dash, 2012. Folklore literatures of Odisha for diarrhoeal diseases. J. Pharm. Res., 5: 3272-3276. Bisht, S.P.S., Ramanipriya, R. Mishra, A.K. Panda and B. Praveen, 2012. Antimicrobial properties of few plants used in traditional system of medication. Int. J. Res. Ayurveda Pharm., 3: 1-2. Bisht, S.P.S. and A.K. Panda, 2012. IUMS 2011. J. Pure Appl. Microbiol., 6: 982-984. Sahoo, D.R., S.S. Bisht, B.K. Patro and K. Nagariya, 2011. Investigation of lipase forming thermophilic microbes in hot water spring of Atri. Int. J. Drug Formulat. Res., 2: 193-200. Praveen, B., A.K. Panda, S. Das and S.S. Bisht, 2011. Isolation of microbes from radionuclides and metal contaminated sub-surface soils for bioremediation of radioactive waste management. Asian J. Environ. Sci., 6: 53-57. Praveen, B., A.K. Panda and S.S. Bisht, 2011. Isolation and characterization of antibiotic producing bacteria Pseudomonas sp. BP-2 from Nagavali river basin of Srikakulam, Andhra Pradesh, India. J. Adv. Biotechnol., 10: 30-33. Panda, A.K., S.S. Bisht and A.K. Panigrahy, 2011. Isolation and Identification of an extracellular alkali stable lipase producing thermophilic Brevibacillus sp. AK-P2 from an Indian hot spring. J. Adv. Biotechnol., 10: 25-29. Jena, F.M., B.R. Kumar, R.K. Viriyala, M.M. Annapurna and S.P.S. Bisht, 2011. Validated new spectrophotometric methods for the estimation of prasugrel in bulk and pharmaceutical dosage forms. Pharm. Globale Int. J. Compr. Pharm., 1: 1-3. Bisht, S.S., S.K. Behera and A.K. Panda, 2011. Comparative study of tryptophan synthase Beta chain between Pyrococcus furiosus (Archaea) and Salmonella typhimurium (Proteobacteria). Int. J. Biosci. Biochem. Bioinform., 1: 168-172. Bisht, S.S., S.K. Behera and A.K. Panda, 2011. Comparative genomics of β-Sub unit of Tryptophan synthase among a group of proteobacteria. Int. J. Pharma Bio Sci., 2: 279-284. Bisht, S.S., S.K. Behera and A.K. Panda, 2011. Bioinformatics analysis of tryptophan synthase beta chain in an archaea. Biomirror, 2: 61-66. Bisht, S.S., R. Mishra, B. Praveen, A.K. Panda, K.K. Panda and A. Routray, 2011. Phytoremediation studies on coal mine waste and coal fly ash by Leucaena leucocephala. Int. J. Biosci. Biochem. Bioinformat., 1: 252-255. Bisht, S.S., R. Mishra and K.R. Das, 2011. Microbes from steel scrap site of Rourkela their resistance and sensitivity to heavy metals. J. Applied Biosci., 37: 110-113. Bisht, S.S., N.N. Das and N.K. Tripathy, 2011. Indian hot-water springs: a bird`s eye view. J. Energy Environ. Carbon Credits, 1: 1-15. Bisht, S.S., K.R. Patro, B. Praveen, A.K. Panda and K.K. Panda, 2011. Isolation, purification and characterization of acidolin from Lactobacillus sp. J. Environ. Biosci., 25: 235-239. Bisht, S.S., J. Mandal, B. Praveen and A.K. Panda, 2011. Investigations on gastro protective effect of rabbit anti-rat gastrin antibody in Wister albino rat. J. Environ. Biosci., 25: 77-79. Bisht, S.S., B.V.V.R. Kumar, B. Praveen, V. Rajakumar and S.R. Mishra, 2011. Effect of dichlorvos on serum enzymes of poultry birds. Int. J. Pharma Bio Sci., 3: 553-557. Bisht, S.S., B. Praveen, A.K. Panda, S.K. Behera, K.K. Panda, R. Mishra and S.K. Patro, 2011. Comparative study of various Mycotoxins against few bacterial test organisms. Int. J. Pharm. Pharmaceut. Sci., 3: 288-291. Bisht, S.S., B. Praveen, A.K. Panda, K.K. Panda and S.K. Behera, 2011. Isolation, purification and characterization of asparaginase from Eschereshia coli. Int. J. Pharma Bio Sci., 2: 174-179. Bisht, S.S., B. Praveen, A.K. Panda and V. Rajakumar, 2011. Isolation, purification and characterization of bacitracin from Bacillus sp. Int. J. Pharm. Pharm. Sci., 3: 136-138. Bisht, S.S., B. Praveen, A.K. Panda and S. Das, 2011. Preliminary screening of subsurface soils from radionuclides and metal contaminated areas of Orissa coast. Int. J. Pharma Bio Sci., 2: 416-422. Bisht, S.S., B. Praveen and M. Rukmini, 2011. Screening of paper industry effluent for heavy metal absorbing bacteria. Int. J. Pharma Bio Sci., 3: 77-81. Bisht, S.S., A.K. Routray and R. Mishra, 2011. Rapid in vitro propagation technique for sugarcane variety 018. Int. J. Pharma Biosci., 2: 242-249. Bisht, S.S. and R. Mishra, 2011. Antioxidants and their characterization. J. Pharm. Res., 4: 2744-2746. Bisht, S.S. and A.K. Panda, 2011. Molecular and biochemical studies on lipase producing thermophiles from taptapani hot water spring, Orissa, India. J. Pure Applied Microbiol., 5: 925-928. Bisht, S.S. and A.K. Panda, 2011. Isolation and identification of new lipolytic thermophilic bacteria from an Indian hot spring. Int. J. Pharma Bio Sci., 2: 229-235. Bisht, S.S. and A.K. Panda, 2011. Biochemical characterization and 16S rRNA sequencing of few lipase producing thermophilic bacteria from Taptapanihot water spring, Orissa, India. Biotechnol. Res. Int., Vol. 2011. 10.4061/2011/452710. Bisht, S.S. and A.K. Panda, 2011. Biochemical Characterization and 16S rRNA Sequencing of Few Lipase-Producing Thermophilic Bacteria from Taptapani Hot Water Spring, Orissa, India. Biotechnol. Res. Int., . Bisht, S.P.S., A.K. Panda and B. Praveen, 2011. Isolation and 16SRRNA Sequencing of Porphyrobacter SP. AK-P3, an Aerobic Bacteriochlorophyll-Containing Sulphur Reducing Bacterium from an Indian hot Spring. Int. J. Contemp. Res. Rev., 2: 1-5. Bisht, S.P.S, B.V.V. Ravi Kumar, B. Praveen and S.R. Mishra, 2011. Effect of Cypermethrin on Serum Enzymes of Poultry Birds. J. Pharm. Biomed. Sci., 12: 1-3. Annapurna, M.M., S.P.S. Bisht, B.R. Kumar, V.R. Kumar and A. Narendra, 2011. Spectrophotometric determination of bosentan and its application in pharmaceutical analysis. Pharm. Globale Int. J. Compr. Pharm., 1: 1-3. Dasari, S., R. Kumar, K. Viriyala, S.A. Kumari, B.V.V. Ravikumar and S.P.S. Bisht, 2010. A validated RP-HPLC method for the analysis of duloxetine Hydrochloride in pharmaceutical dosage forms. Pharmacie Globale, Vol. 1. .
Bisht, S.P.S., B. Praveen, Y. Rajesh and S. Sahoo, 2010. Bioconversion of sludge from integrated paper and pulp industries. Int. J. Pharma Bio Sci., Vol. 1. .
Bisht, S.P.S., 2010. Thermophiles 2009. Curr. Sci., 98: 19-20. Panda, A., B. Praveen and S.P.S. Bisht, 2009. Clinical and pathological status of haemoglobinopathies among pregnant women in Southern Orissa. Indian J. Biotechnol., 8: 456-547. Bisht, R., H. Pandey, S.P.S. Bisht, D.Bharati and B.R. Kaushal, 2007. Reproductive potential of the earth worm Metaphire posthuma (Oligochaeta) in different food substrates. Tropic. Ecol., 48: 107-114. Bisht, R., H. Pandey, S.P.S. Bisht, B. Kandpal and B.R. Kaushal, 2006. Feeding and casting activities of the earthworm (Octolasion tyrtaeum) and their effects on crop growth under laboratory conditions. Trop. Ecol., 47: 291-294. Bisht, S.P.S., 2004. Neutraceutical and SDSPAGE analysis of milk. Himalayan J. Zool. Environ., 18: 43-45. Bisht, S.P.S. and B.R. Kaushal, 2001. Estimation of earthworm protein for poultry industry. Himalayan J. Zool. Environ., 15: 117-122. Kaushal, B.R., B. Kandpal, S.P.S. Bisht, S. Bora and R. Dhapola, 1999. Abundance and seasonal activity of Earthworm in cropland of Kumaon Himalaya. Eur. J. Soil Biol., 35: 171-176. Bisht, S.P.S. and B.R. Kaushal, 1999. Laboratory observations on incubation and hatching patterns of the cocoons of earthworm Amynthas alexandri. Himalayan J. Zool. Environ., 13: 13-17. Somvanshi, R., S.P.S. Bisht and M.C. Prasad, 1997. Status of enzootic bovine Haematuria (Ebh) in Kumaon Himalayan Region of Uttar Pradesh. Indian Vet. Med. J., 21: 159-161. Somvanshi, R., S.P.S. Bisht and A.K. Sharma, 1997. Preliminary epidemiological observations on Enzootic bovine haematuria in Kumaun hills. Indian J. Anim. Sci., 67: 858-859. Kaushal, B.R., S.P.S. Bisht and S. Kalia, 1995. Population dynamics of the earthworm Amynthas alexandri (Megascolecidae: Annelida) in cultivated soils of Kumaun Himalayan. Applied Soil Ecol., 2: 125-130. Kaushal, B.R., S.P.S. Bisht and S. Kalia, 1995. Growth and cocoon production by the earthworm Drawidia nepalensis (Oligochaeta: Moniligastridae) in oak and pine litter. Pedobiologia, 39: 417-422. Kaushal, B.R., S.P.S. Bisht and S. Kalia, 1994. Effect of diet on cast production by the megascolecid earthworm Amynthas alexandri in laboratory culture. Biol. Fertil. Soils, 17: 14-17. Kaushal, B.R. and S.P.S. Bisht, 1994. Population dynamics of the earthworm Amynthas alexandri (Annelida: Megascolecidae) in a Kumaun Himalaya pasture soil. Boil. Fertil. Soils, 17: 9-13. Kaushal, B.R. and S.P.S. Bisht, 1992. Growth and cocoon production of Drawidia nepalensis (Oligochaeta). Biol. Fertil. Soils, 14: 205-212.